Sushi lovers come in three camps: the penny pinchers, the traditionalists and the experimentalists. Those looking for inexpensive sushi typically will find it in restaurants that are less selective with their ingredients. The atmosphere in these eateries often distracts from the plate, and some establishments even prepare the sushi ahead of time and place it in a buffet line. Traditionalists are the sushi lovers who will flock to the opening this week of Jiro Dreams of Sushi, a documentary about 85-year-old Jiro Ono, the renowned itamae (or, Japanese chef) proclaimed by many as the best in the world. Ono prepares 20 pieces of sushi, served one at a time to his customers in a tiny sushi bar inside a Tokyo train station. Old-school devotees come to Ono's sushi bar in reverent adoration – nothing needs to be changed, but perfection must be attempted. 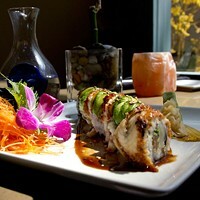 The experimentalists want something outside the box (er, roll); creativity driven by flavor with impeccable ingredients. No one in Charlotte does this better than Cy Santos. His Hamachi Jalapeno roll with the alternating sweetness of crab and the unctuousness of avocado spiked with a wasabi citronette is all that. In March, Sushi Guru and Sake Bar opened in the space that was once Cyros Sushi and Sake Bar, in the back of a small enclosed shopping center (which also houses Rooster's Wood-Fired Kitchen) in SouthPark. Santos was part owner of Cyros, which was the outgrowth of a catering company that supplied made-on-site sushi to professional sporting events, wine bars and other establishments. Many people in Charlotte came to know Santos and his creative spin on sushi at these venues. Now, owner Rico Garcia has opened Sushi Guru with Santos in the position of executive chef. Structurally, the interior is the same, with a small 8-seat sushi bar area in the front where patrons can watch the newly installed machine that pops out pillows of rice for nigiri when the place is jammed. The dining area is small, only 49 seats, but Garcia plans to expand into a neighboring space and include some outside dining later this year. 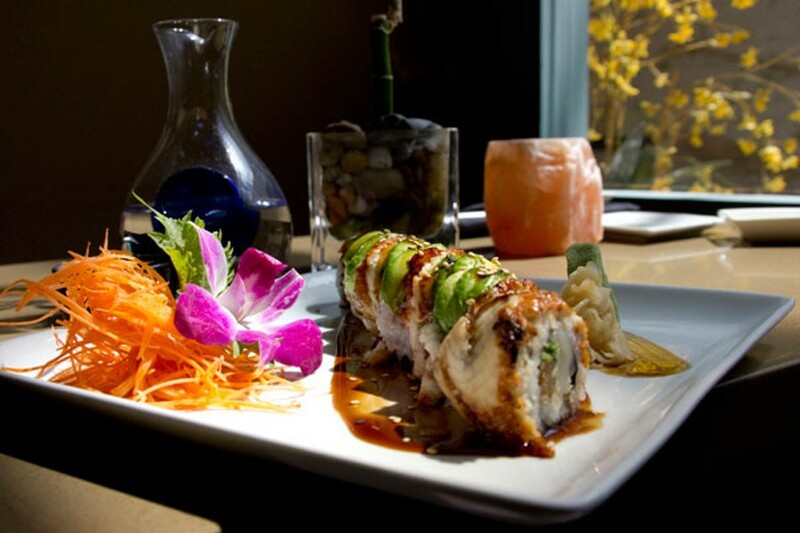 Sushi Guru is a local's place, frequented by restaurateurs, chefs and folks from the SouthPark neighborhood. No glitz, just great food. Several of the specialty rolls, like the Hamachi, pack heat. Guru's signature spicy aioli seems to benefit from a hit of Sriracha. Sauces are prime ingredients of most of the signature rolls, thus precluding dunking them into soy and wasabi. A native Filipino, Santos' predilection for heat thrives under his steady hand. But not too much heat. Many of the dishes here are just fun: Bluefin tuna with wasabi, creme fraiche Kobe beef carpaccio with fried onions, arugula, yuzu soy, and truffle oil; and a sashimi pizza. At Guru, you could order a single roll or a feast; dine with one or many. Not all items are inventive — traditional rolls are on the menu, too — but why have the same-old same-old when Santos' Caribbean roll is lush with Japanese scallops, barbecue eel, sliced avocado, and sweet gourd? 6601 Morrison Blvd. 704-362-3021. Hours: Lunch Monday to Saturday 11 a.m. to 2:30 p.m.; Dinner Monday to Thursday 5 p.m. to 10 p.m.; Friday and Saturday 5 p.m. to 11 p.m. Live music Wednesdays. www.sushiguruclt.com. Jiro Dreams of Sushi opens April 27 at Park Terrace Stadium Theatre 6, 4289 Park Road.